Some people love the holidays, and some people don’t. But these holidays, have you ever even heard of them? Ice Cream For Breakfast Day started in the 1960s when Florence Rappaport of Rochester, New York, decided that would be the first meal of the day. This holiday is celebrated on the first Saturday in February. This became a family tradition as her two youngest children would remind her of that special day every year. The family tradition spread when they went to college. 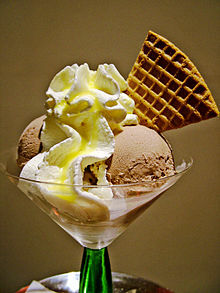 Newspaper articles began talking about Ice Cream For Breakfast Day all over the world including Israel, New Zealand, England, Canada, and South Africa. Also, did you know, that eating ice cream at night can help you sleep? Maybe we should all be eating ice cream all day! January 21st is a day for squirrels! This day began thanks to Christy Hargrove, a wildlife rehabilitator from North Carolina. Squirrel Appreciation Day was first observed in 2001 to celebrate squirrels and help people learn more about the species. To celebrate the day, you can put food out for the squirrels, read about them or view them in their habitat. Nerds unite! And May the Fourth be with you. National Star Wars Day started in Toronto, Ontario, Canada at the Toronto Underground Cinema in 2011. There were lots of activities that day including an Original Trilogy Trivia Game Show, a costume contest and the web’s best tribute films, mash-ups, parodies, and remixes on the big screen. To celebrate National Star Wars Day, use #NationalStarWarsDay to post on social media. 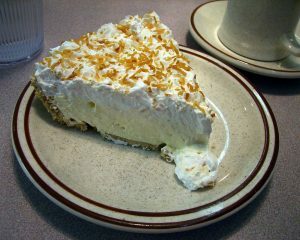 Every year on May 8th, National Coconut Cream Pie Day is observed. We celebrate Coconut Cream Pie for it’s sweet coconut cream filling and delicious coconut shreds. To celebrate, you can make a coconut cream pie. Share it on social media with #CoconutCreamPieDay. May 11th is the day to observe National Twilight Zone Day. You know, the eerie background music and unexplainable occurrences from the show? Ya, that’s what it’s all about. The show first premiered in 1959 on October 1st. The show was popular, especially for how weird it was. It was a stretch of the imagination and captured its viewers for the 5 years that it aired. Celebrate by watching the show again or posting about your favorite episodes. December 21st is the day to celebrate! Crossword puzzles were first published in children’s books in England. These puzzles are now touted for their benefits including aiding people’s minds against dementia. They can help increase your vocabulary, too, and are a healthy way to keep your brain active. Celebrate by completing a crossword, or going online and make your own! This day is celebrated on September 11th, each year. It’s been said that making your bed can help you sleep. It reduces the amount of tossing, turning, and restlessness and is therefore good for your health. To observe, make your bed. Making your bed is a good way to start the day and will fast become a habit. Which of these weird holidays is your favorite? 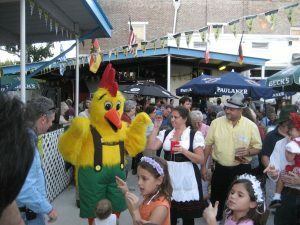 Let’s all make coconut cream pie and eat it while doing the chicken dance! Happy Holidays!